PowerFlare PF-200 Safety Lights are essential for your law enforcement fleets. Clients: Police, Sheriff, Municipalities, Federal Agencies, Telephone, Utility companies, Firefighters, and Military. 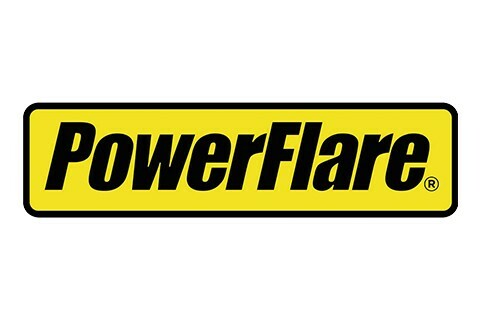 Besides normal roadside emergency use, PowerFlares are also used for protection of work and HAZMAT areas. Wearing a PowerFlare on your belt provides additional safety. They are waterproof, float and can be run over by any vehicle. Operational: 8 to 150 hours, based on which of 10 flash patterns is selected. Replaceable CR123 battery. Rechargeable version also. Several LED colors available. Weighs 7 ounces, size of hockey puck. New Cone Top Adapters for use with Traffic Cones. See online Master Brochure on our home page.